For years, the United States dominated the supercomputer market. But two years ago, China pulled even on the Top 500 list. China moved decisively ahead last fall and extended the gap in the latest tally. America is now home to the world’s speediest supercomputer. But the new list of the 500 swiftest machines underlines how much faster China is building them. The list, published Monday, shows the Chinese companies and government pulling away as the most prolific producer of supercomputers, with 206 of the top 500. American corporations and the U.S. government designed and made 124 of the supercomputers on the list. Making the most powerful supercomputers is regarded as one measure of a nation’s technical prowess, even if they are a rarefied niche of technology. Countries and companies have increasingly deployed the machines in a wider range of tasks in fields including medicine, new materials and energy technology. Supercomputing is one step in China’s rapid rise in technology, stirring concerns in America about the country’s grand plan and tactics — and the potential economic and geopolitical implications of those advancements. 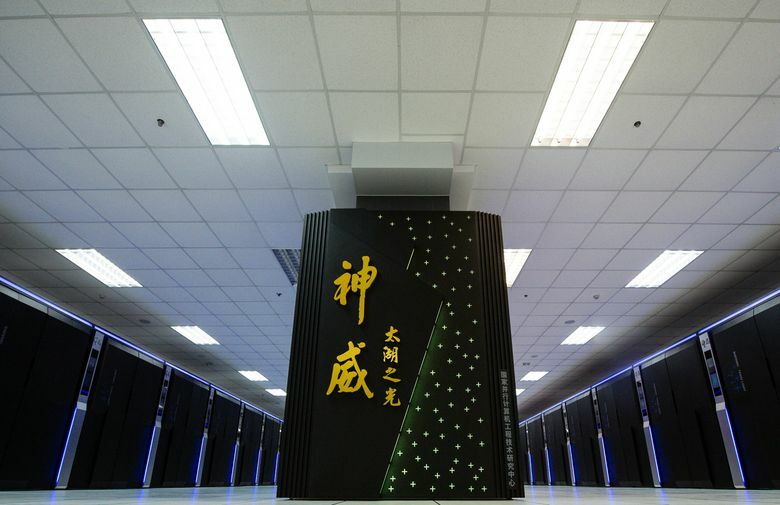 China began its supercomputing push in earnest a decade ago. Initially, it absorbed foreign technology, and then steadily developed its own. “China was slow to make that work, but it’s working now,” said Richard Suttmeier, an expert in Chinese science policy at the University of Oregon. The high-performance computing program, policy experts say, offers a blueprint for the multibillion-dollar efforts China has recently begun in fields like artificial intelligence and quantum computing — the next frontiers of technology, where economic advantages will be won or lost. Supercomputer technology has occasionally been a trade issue between the United States and China. In 2015, for example, Washington denied Intel a license to sell its microprocessor chips to four supercomputer labs in China, saying the centers worked on technology for the Chinese military. The export ban, supercomputer experts say, served to prod the Chinese to accelerate their development efforts. Supercomputers were once found almost entirely in national laboratories and used for government projects like simulating nuclear explosions and modeling weather patterns. But more than half the 500 fastest are now toiling for corporations. The global supercomputer market is expected to double from 2017 to 2022, to more than $9.5 billion, according to an estimate from Hyperion Research. The research firm defines supercomputers as machines that cost more than $500,000 each. Three Chinese companies are among the top five makers of the 500 fastest supercomputers. Lenovo is first, Inspur is third, and Sugon is fifth. Two U.S. companies are second and fourth, Hewlett-Packard Enterprise and Seattle-based Cray. The new list confirmed that the current fastest machine resides in the United States. This month, the Department of Energy announced that its new supercomputer, called Summit, had achieved speeds well ahead of the previous leader, the Sunway TaihuLight at a Chinese supercomputing center in Wuxi. 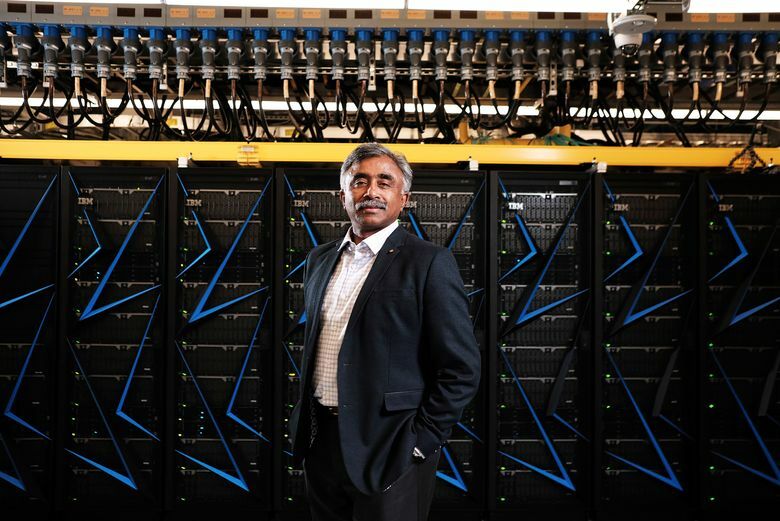 Summit, built by IBM in a partnership with Nvidia, is at the Oak Ridge National Laboratory in Tennessee. Depei Qian, a top supercomputer researcher in China, marvels at the progress his nation has made in the past decade — “beyond our expectations,” he said. A point of particular pride: The Sunway TaihuLight machine uses homegrown microprocessors. “That used to be a weakness,” said Qian, a computer science professor at both Sun Yat-sen University and Beihang University. Software is a challenge for supercomputing engineers in general. Supercomputers are increasingly being programmed to process vast amounts of data with artificial- intelligence software. So data-handling speeds in software applications often become more important than raw calculating speed, which has been the traditional yardstick of supercomputer performance. The 500 list is based on the machines’ speed of mathematical calculation. But another benchmark — codeveloped by Dongarra of the University of Tennessee — measures data-handling speed in applications. Summit tops that list as well, while the Sunway machine ranks sixth. But China is also catching up in software development, supercomputer experts said. “The flagship centers in China today are surprisingly similar to ours,” said Rick Stevens, an associate director of the Argonne National Laboratory in Illinois.